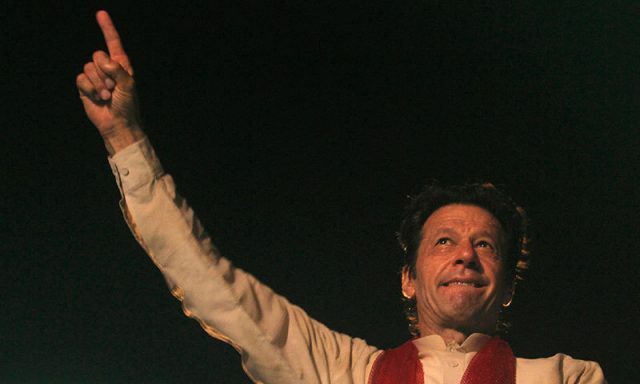 An appellate tribunal of the Lahore High Court reversed the returning officer’s decision to reject PTI chief Imran Khan’s nomination papers from NA-95 Mianwali and has allowed him to contest the polls from his home constituency. Imran had challenged the RO’s decision to reject his nomination in the election tribunal. Earlier in the day, Imran’s counsel Babar Awan informed the tribunal that all the objections raised against his client were of a technical nature and there was nothing objectionable in his papers. Imran did not hide anything and declared all his assets in the nomination papers, Awan added. Imran had also challenged the returning officer in NA-53’s decision to reject his nomination papers. An election tribunal has dismissed on Monday an application against the approval of PTI chief Imran Khan’s nomination papers from NA-131. Imran’s opponent from NA-131 Mudassir Chaudhry had challenged the returning officer’s decision to accept PTI chief’s nomination papers.